Dr. Withers is board certified in Family Medicine by the American Board of Family Medicine. 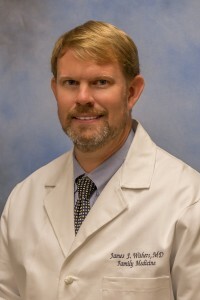 Dr. Withers is also a member of the Mississippi Academy of Family Medicine, the American Academy of Family Medicine, the American Medical Association and the Mississippi State Medical Association. He has been a partner at Premier Medical Group of Mississippi since 2007 and has served as president since 2010. Dr. Withers’ professional focus is in diabetology and related metabolic conditions. Dr. Withers has a special interest in the treatment and management of diabetes, hypertension and hypercholesterolemia with the goal of preventing cardiovascular complications. Dr. Withers and his wife Megan live in Kosciusko with their five children; Anna Young, Eli, Caroline, Barbara and Sarah Margrett. He is an active member at First Baptist Church of Kosciusko. Dr. Withers enjoys spending time with his family.